One of the high quality manufacturers we represent is Emerson, a provider of industrial automation solutions. 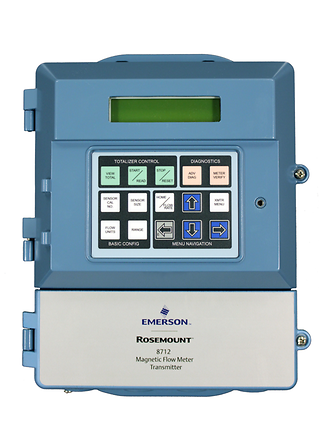 Just this month Emerson released an article introducing the Rosemount 8712EM Wall Mount Magnetic Flow Meter Transmitter with capabilities to help users in the water and wastewater, metals and mining, and other industries to gain quick feedback and insight into their processes. The Rosemount 8712EM’s diagnostic suite includes high process noise detection and ground fault detection. The electrode coating diagnostic offers two set points to alert when coating is present and when it is affecting flow measurement, enabling preventative maintenance. Smart Meter Verification continuously monitors the health and performance of the meter for ultimate measurement confidence. Universal transmitter capability allows the 8712EM to operate with any existing magnetic flow meter sensor and allows backwards compatibility with all Rosemount magnetic sensors. 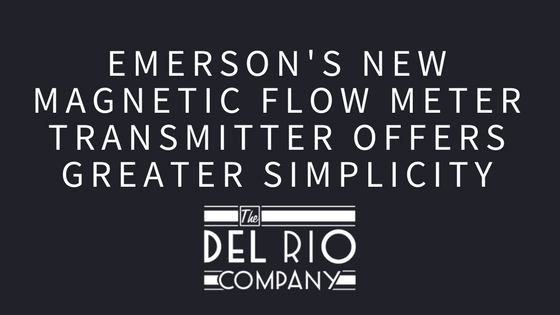 This feature not only makes the transmitter easier to integrate with older units, but it also enables the use of the 8712EM’s advanced diagnostic features. The Rosemount 8712EM supports HART 7 for 32-character-long tag capability for reduced start up time, as well as options for intrinsically safe HART outputs and Modbus RS-485. Contact us for direct support. If you would like additional information about Emerson products and applications for your projects, we would love to talk with you over the phone. With over 40 years of experience supplying industrial parts and instrumentation, we can provide you with valuable knowledge and insight. Pick up the phone and talk to one of our representatives today: 225-756-7092.